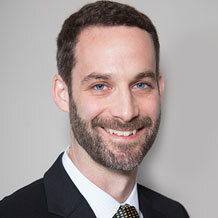 Joshua Fields has been working as a lawyer with Kirtland & Packard, LLP since 2006. An accomplished appellate lawyer, Mr. Fields' primary area of practice is in complex consumer litigation, including class action lawsuits related to violations of state and federal consumer protections. A Harvard graduate, Mr. Fields is a key part of Kirtland & Packard, LLP's accomplished legal team. Mr. Fields is originally from New York City. In 2003, he served as a judicial intern to the Honorable Louise Gans of the New York State Supreme Court. Recent Development: Engine Manufacturers Association v. South Coast Air Quality Management District, 18 Tul. Envtl. L.J. 258 (2004).